CARNEVALE ~ A Night In Venice! The 4th Annual Roswell Mardi Gras Ball will be held March 2, 2019. This year's Ball will be held at Country Club of Roswell. 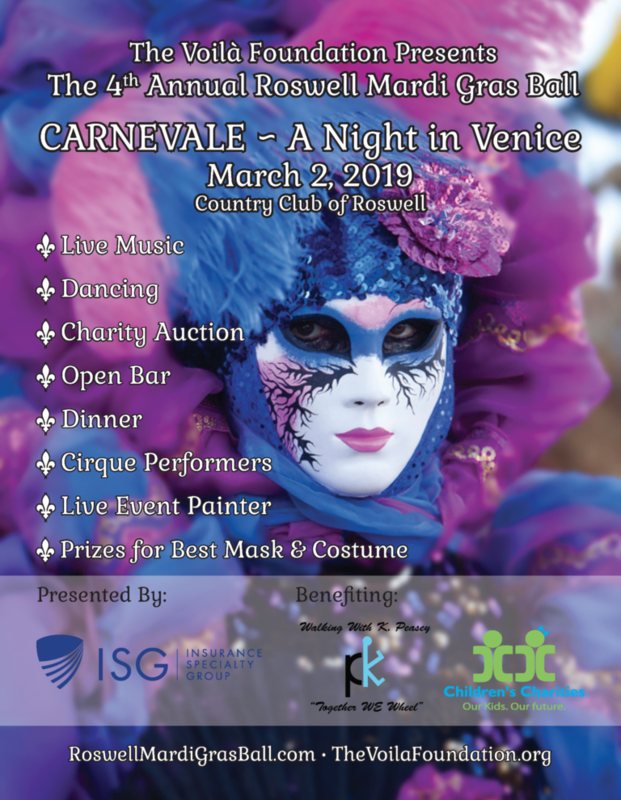 This time our theme will be Carnevale ~ A Night in Venice! Tickets are on sale NOW! For details please visit: RoswellMardiGrasBall.com.